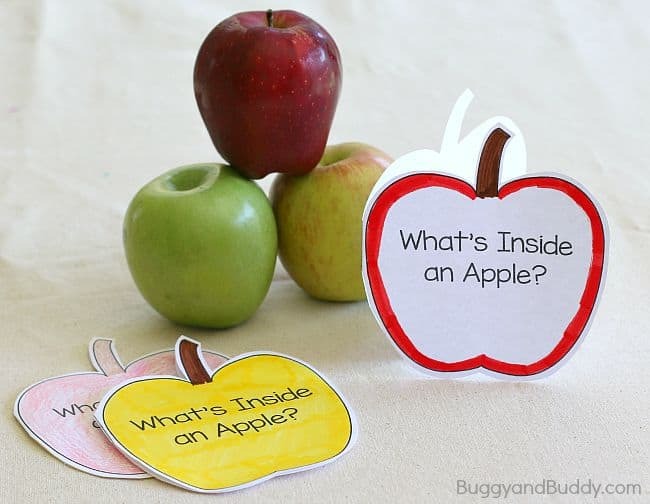 Here’s a simple apple science activity for kids– exploring the inside of an apple! 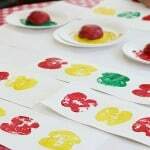 Children will have the opportunity to discover what’s inside an apple and record their observations on a free printable recording sheet- a little apple booklet. 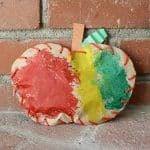 This easy science activity makes a great addition to any preschool or kindergarten apple unit for fall. Kids always love exploring the world around them, and it’s especially meaningful to learn about everyday objects- like apples! 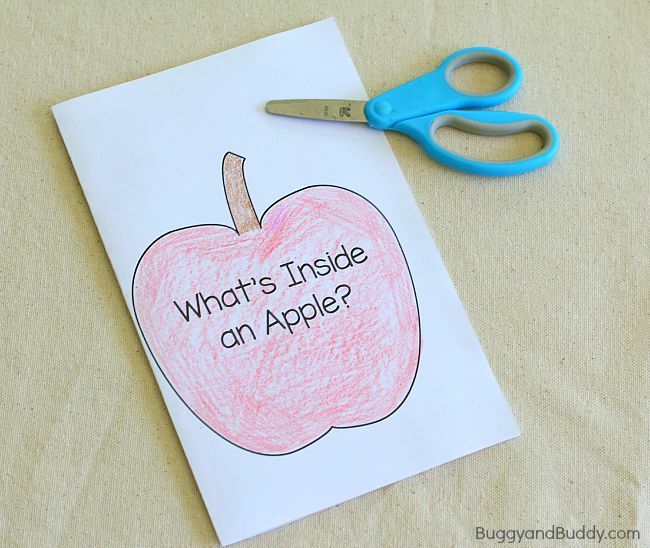 In this hands-on science activity, children will get to explore the inside of an apple and record their observations in their free printable apple booklet. 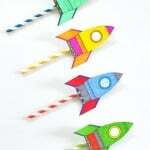 This activity was inspired by the nonfiction children’s book, Apples by Gail Gibbons. 1. Place an assortment of apples out for children to explore. Talk about how the apples feel and look. 2. 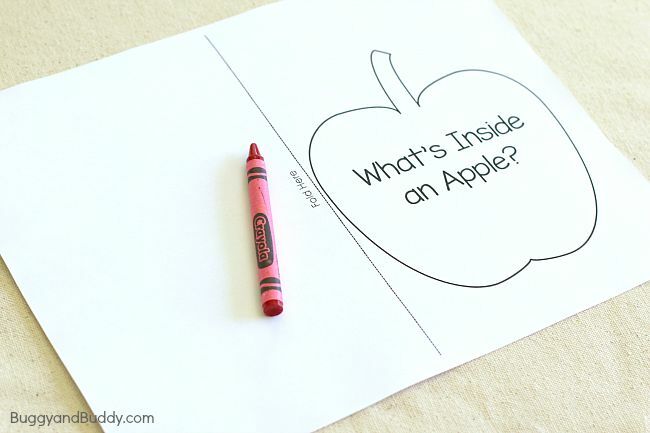 Pass out the apple recording sheet and have children color the front of the apple page. 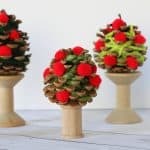 They can color it to look like their favorite kind of apple! 3. Fold the sheet in half along the dotted line. 5. Now you have an apple booklet! 6. 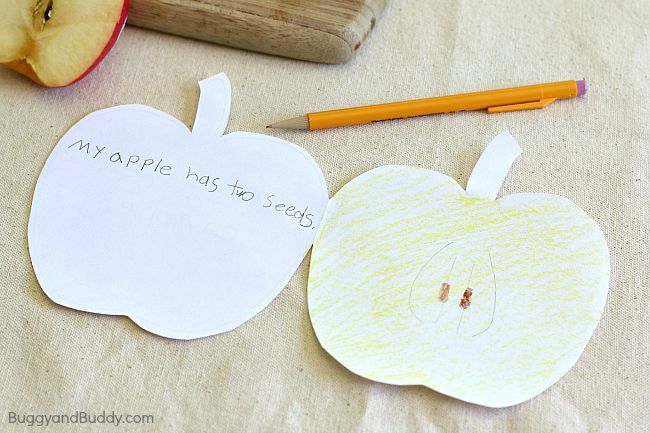 Have kids make predictions about what they will find inside the apples once they are cut in half. 8. Kids can record their observations inside their apple booklet. 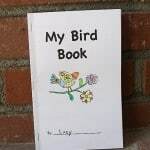 Older children can also write a few sentences describing what they see. 9. 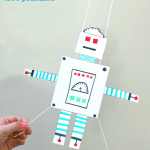 When you’re done, cut up your science activity and eat it as a snack! 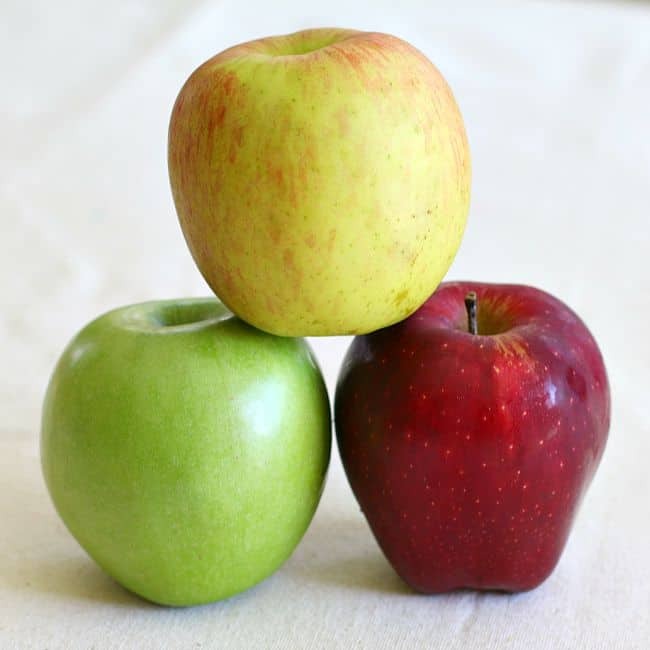 Have an apple taste test by tasting a variety of apples. 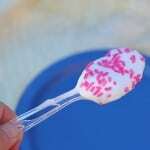 Make a graph sharing everyone’s favorites. 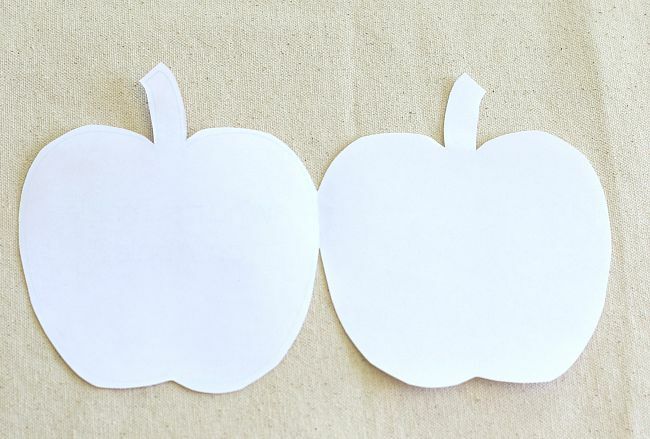 Use the cut apple halves for stamping apple patterns. 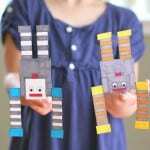 This activity also includes a free pattern recording sheet. Use your remaining apples to make homemade applesauce in the crockpot! 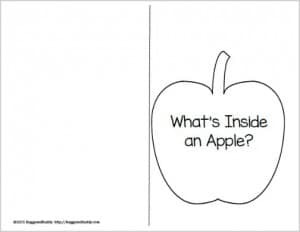 Read some picture books about apples. 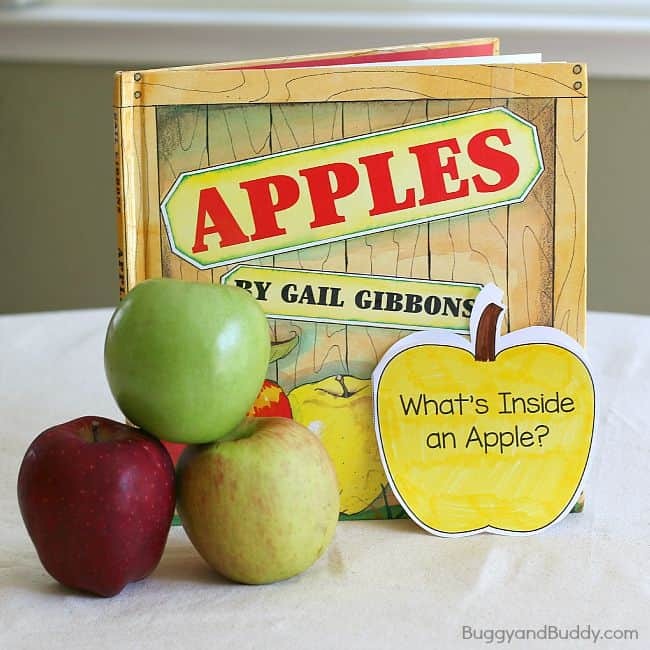 One of our favorite nonfiction books is Apples by Gail Gibbons. 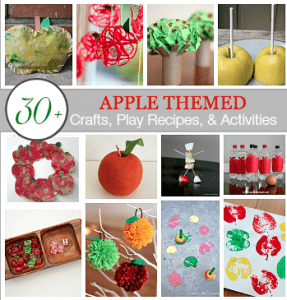 Be sure to check out this collection of even more apple-themed activities for kids!